The discussions surrounding physical, mental, emotional, learning, developmental and acquired disabilities can become murky with technical words, jargon and acronyms. Sometimes not understanding various meanings can have an adverse affect on your understanding of the disability. To avoid any communication problems in discussions of ability and/or disability, use this glossary to help you define some unfamiliar terms. Ability - Having the means to perform certain tasks. The term "differently abled" may be preferable to some rather than "disabled" as it takes into account abilities that are held rather than those that are not. Access Audit - A survey of a building designed to point out barriers to access for individuals with disabilities and recommendations for removing or adapting these barriers. Acute Care - The is care provided for a short time in response to a certain condition. Ambulatory Care - Care that is provided on an out-patient basis, to which individuals travel (as opposed care that is provided in their own homes or on an in-patient/overnight basis). Assisted Living - Residential facilities that provide individuals a host of services which they may take advantage of as needed. Though these services are usually available at all times, it is the resident's decision when to make use of them. Commission for Equality and Human Rights - Created by the Equality Opportunities Act and made up of the former Commission for Racial Equality (CRE), Disability Rights Commission (DRC) and Equal Opportunities Commission (EOC). Community Based Services - Services designed to aid individuals while they remain living in their own homes. Meal delivery, transportation services and home help are all examples of community based services. DDA - Disability Discrimination Act (1995). Overarching legislation making discrimination based on disability illegal in the United Kingdom. Extended by the Disability Discrimination Act 2005. Disability - A physical or mental impairment that affects or limits one or more activities. Individuals with disabilities may be referred to as "disabled" or "differently abled". Disabilities may be categorised by type and/or degree. DRC - Disability Rights Commission - An independent body set up by British Parliament to end discrimination based on disability. Became the Commission for Equality and Human Rights in October 2007. Equality Act 2006 - Among other things, created the Commission for Equality and Human Rights which began operating in October 2007. Functional Disability - A physical or mental impairment that limits the extent to which an individual can care for him or herself. Usually some personal care tasks can be accomplished with or without assistance. 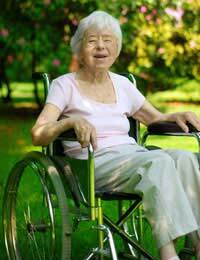 Nursing Home - A residential facility that offers assistive care at all times. Occupational Therapy - Therapy designed to help individuals master tasks associated with daily living, for example dressing, tooth brushing, etc. Physical Therapy - Therapy designed to help increase an individual's physical strength and flexibility to make physical movements more smooth and efficient. Quality of Care - Term used to describe the measurement of health and social care services to see if they meet established industry standards. Residential Care - Term used to describe the care given at a residential home regarding an individual's room, board and personal care. Usually available at all times in the residential home. Secondary Care - Care provided by a medical specialist who did not have first contact with the individual (i.e., the individual was referred to this specialist). Special Education - Broad term used to describe the extra support a student needs in addition to the mainstream curriculum. Special education may be taught in a separate classroom, or in a mainstream classroom. Speech Therapy - Therapy designed to aid an individual in verbal, and sometimes written, communication. Treatment Plan - Literally a plan that outlines treatment for an individual for a specific period of time, usually including clear goals for the time period. After the comments I have written on 'about equal opportunities', hence being an disabled (with health issues), and using the internet to look up 'ableism', I now understand or realise i'm going through 'smart/indirect ableism & racism' (or (systematic) 'refine discriminatory behaviour'), in which involves being a victim of covert discriminatory behaviour.